Are you looking for a rewarding and meaningful career making a positive difference to the lives of others every single day? Do you have time that you would like to spend giving something positive back to your community? We are currently seeking friendly, caring and reliable individuals, regardless of experience or background, to join our award winning Care Team as Home Care Assistants, providing invaluable personal and practical support to vulnerable people living at home throughout Hinckley, Nuneaton, Bedworth, Atherstone, Coleshill, Polesworth, Dordon, Tamworth and the surrounding villages, depending upon your personal location. You will form part of a small geographical team providing homecare services to our Customers in one of the geographical areas described. With full training and competitive rates of pay, we pride ourselves on our flexible working arrangements, with our staff base operating part time around existing commitments or as a full time career. We have various working shifts available, including mornings, evenings and weekends. So, whatever your circumstances, we can offer you a fantastic and fulfilling opportunity, working with our existing team of dedicated, award winning staff, making a huge difference every day to those we support. For further information, forward your CV and details, or contact us on 01827 715537. 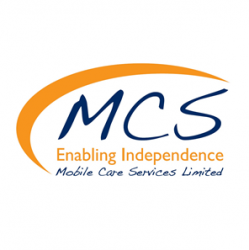 Mobile Care Services Ltd are a quality and established Domiciliary Care Provider that has been delivering valuable personal and practical support to individuals living in their own homes throughout the local community since 1992. The services that we deliver offer a safe and reliable alternative to residential care and can enable individuals to remain within the comforts of their own home for as long as possible, with the personalised support they need. Operating from our headquarters in Atherstone, Warwickshire, Mobile Care Services Ltd provides support to nearly 400 Customers living throughout North Warwickshire, Coleshill and Water Orton, Tamworth, Atherstone, Nuneaton, Bedworth, Hinckley and South West Leicestershire. We firmly believe in ensuring that the individual remains at the centre of all our activities and so personally tailor each individual support package to ensure that it encompasses the ideals, choices, preferences and wishes of the person being supported. We also involve the person’s wider network of support to ensure that we always deliver a service that provides security and peace of mind to all involved.